Berlin is considered one of the cities with the highest traffic potential for establishing route to Ljubljana. 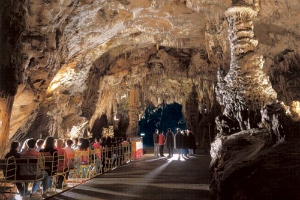 German tourists are listed second on the scale of tourists arrivals to Slovenia with 211,067 tourists in year 2007. In the scope of tourism there is also high demand for travel to Berlin from Slovenians. Besides that Germany has the biggest ethnical Slovenian group with approximately 90,000 people and the highest number of companies with investments on Slovenian market. Germany represents the most important trading partner for Slovenia with 13 % growth in trade 2007/2006 which also results in 60,000 annual business trips. There is one direct flight weekly in summer timetable (LF=70% in 2007). Yearly we see increasing number of arrivals and overnights (10.813 and 36.031) of the Irish tourists. Dublin, city with phenomenal economic growth, represents a chance for good business interaction between countries and could be especially attractive tourist wise for Slovenians and broader cathment area. 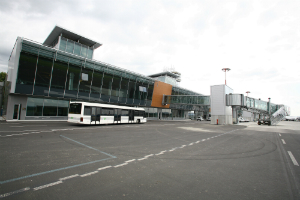 There are no scheduled direct routes between LJU-JFK although there is increasing number of American tourists in Slovenia (49.620 arrivals and 112.112 overnights in year 2007). Also the MIDT data for United States shows increased demand for travel between countries in last years (9.000 JFK, United States 44.000). We estimate Scandinavian countries, especially Norway, one of the most promising markets to develop direct confection with. In year 2007 we noted down 6.990 arrivals of Norwegian tourists, and the number of tourists is still growing. There are 4 weekly flights and in summer timetable even 5 times weekly from LJU to ARN. This route is very popular what results in very high load factor. Besides tourism, there is also potential for business between Sweden and Sweden’s financial center-Stockholm on the one and Slovenia, country with increasing economic growth on the other hand. 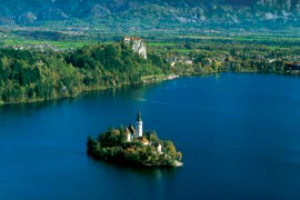 Lake Bled – breathtaking Slovene beauty just minutes from Ljubljana. Main attractions: Lake Bled, Lipica with Lipizzaner horses, Ljubljana with the architecture of Joze Plečnik, Postojna and Skocjan Caves, Costal resorts, Thermal spas. The number of foreign tourists is growing 4% each year. 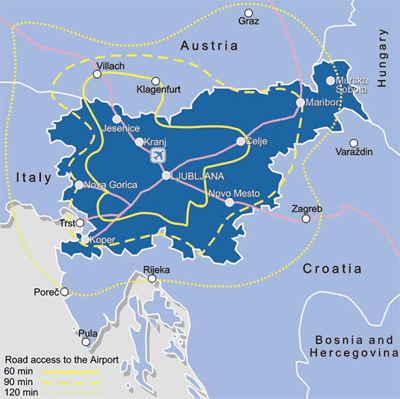 Slovenia’s geographical position makes LJU Airport a natural gateway for tour itineries including Venice, Vienna, Salzburg and the Adriatic destinations. Slovenia is safe country, ranked among the countries with the lowest degree of risk. Since its independence, Slovenia has privatised its economy, stabilised inflation, joined the EU and adopted the Euro, relaxed the flow of capital and modernised its taxation system. 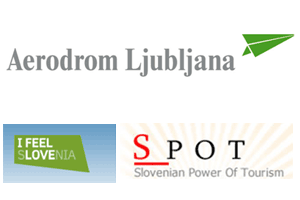 Ljubljana Airport has joined with the Slovenian Tourist Board and SPOT (Slovenian Power of Tourism) to provide support and incentives for inbound tourism. 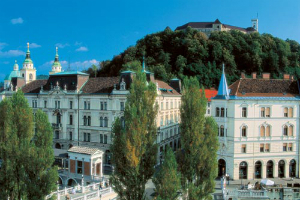 For newly introduced route or additional frequencies from Ljubljana the airport offers special promotional prices with additional marketing support provided by the Slovenian Tourist Board and SPOT (Slovenian Power of Tourism) consortium in order to support introduction and development incoming tourism. In addition the airport has a host of other marketing initiatives at the Airport site – Airport magazine, internet, city lights, billboards etc – which would be used to promote new services. 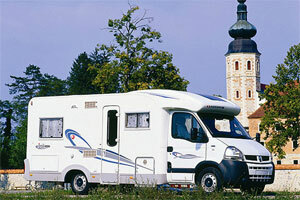 Also made in Slovenia: Revoz, the Slovenian branch of Renault, and Adria Mobil, a manufacturer of caravans and mobile homes produce these familiar “Adria” models of motor homes in joint venture. Slovenia has strong companies in agricultural products high tech and pharmaceutical industry. Companies that are specialised in food production are: e.g. Kolinska, Žito, Jata, Medex, Ljubljanske mlekarne, Droga Portorož. For high tech industries representatives inculde: e.g. Gorenje, Acroni, Adria Mobil, Revoz,Kolektor, Danfoss…In pharmacy: Krka, Lek-Novartis. 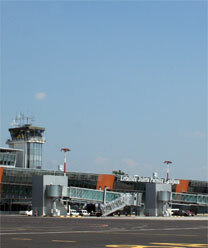 The airport is located 26 km north of Ljubljana. Location is by a highway exit off the motorway and by bus service connecting it with Ljubljana and Kranj. A rail line to both cities is planned as well. 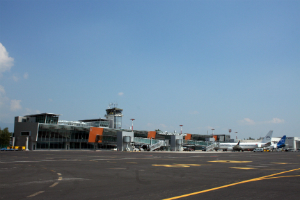 Second terminal, will be open in 2010 with capacity 850 passengers per hour. 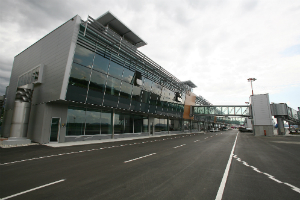 Ljubljana is planning to maintain and develop existing scheduled passenger connections, but is actively seeking new carriers in a move to establish Ljubljana Airport as the transfer airport for the Balkan region. As part of the SPOT consortium it also aims to maintain and develop existing connections provided by budget air carriers. The major investment at present is the construction of the new T-2 terminal, which will have an annual passenger capacity of 2.5 million. The terminal will be finished by 2010, and will provide rapid, effective and high-quality implementation of passenger arrivals and departures and baggage handling, and carrying out border and customs controls in line with Schengen border standards. After the rerouting of the main road, a multi-storey car park will be built in front of the new terminal, and there are also plans to renovate the taxiways. It must be stressed that we have already started renovating and extending the runway, and are also planning to expand the general aviation apron. A new business and logistics centre, Airport City, will be built at the airport, with business and administration facilities, parking, hotel and recreation facilities along with new aircraft and airport maintenance plant. For Airport Charges & Annual Reports please contact to the Route Development Contact.